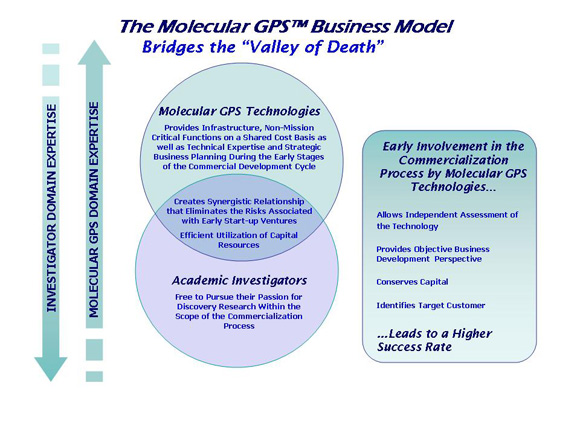 Molecular GPS Technologies™ together with its subsidiaries, Molecular Express, Biocerax, Clayton Chemical and GPS Applied Technologies, form the dynamic business model that bridges the “valley of death” – the ever widening gap between discovery and commercialization. 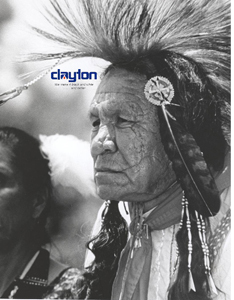 The Molecular GPS Technologies™ family of companies leverages a multi-disciplinary wealth of experience to provide access to the resources necessary to soar over the “valley of death”. The Molecular GPS™ group is able to rapidly identify and assess applications that will have an earlier “time to market” and design and implement effective growth strategies, while mitigating the risks inherent in the early stages of discovery research and commercial development.